Aprons are, perhaps, one of the most flexible items in your restaurant linen inventory because of their vast array of uses! 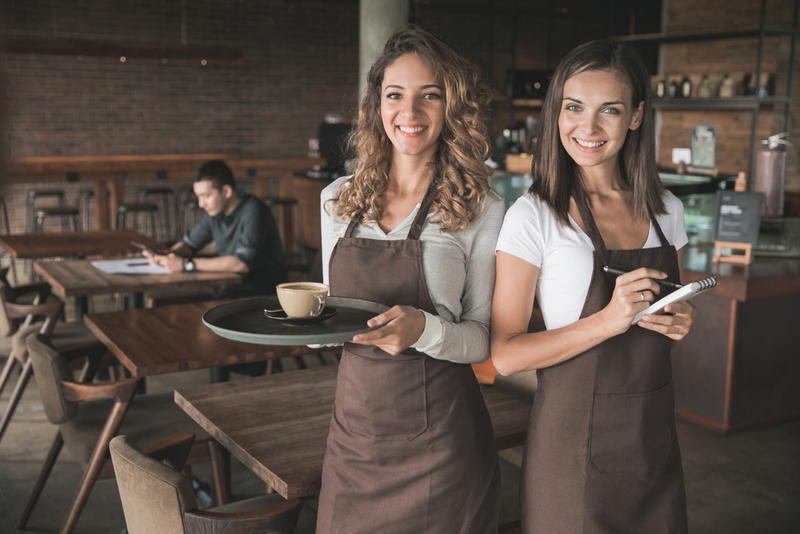 They not only provide protection for your employees’ uniforms, but are useful in essentially every corner of your restaurant. As its name implies, the bib apron provides ample coverage for the torso. This traditional design comes with a loop around the neck, ties around the waist, and a hem that ends near the knee. 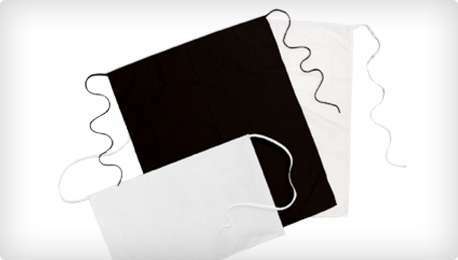 This type of apron provides good protection against spills and is most suitable for the back of the house. It is also known as the chef’s apron. These aprons are versatile and functional. With coverage for both the chest and legs, this apron can be worn by any type of restaurant employee. This apron style also features two pockets – perfect for holding pads and pens or other tools. Waist aprons do not provide torso coverage. While other aprons end at the knee, waist aprons sit well above the knee and provide full ease for leg movement. They are perfect for front-of-the-house servers, especially those that need to move around faster and more often. Waitstaff usually prefers to have pockets in the front to hold their order pads and pens. Aprons, like every other kind of linen in your inventory, should be fully customizable to suit your brand’s image. They can come in a wide range of colors and sizes and be further customized with embroidery or a print of your logo. Your restaurant aprons should be designed to seamlessly match your existing uniform aesthetic. Mickey’s Linen has different types of aprons to suit your needs. Working in a hot kitchen for hours on end is hard work. Having the right apparel makes the job a lot easier! Your kitchen staff will appreciate quality aprons and take pride in wearing them. Mickey’s Linen offers back-of-the-house bib aprons, front-of-the-house waist aprons, and two-pocket aprons. 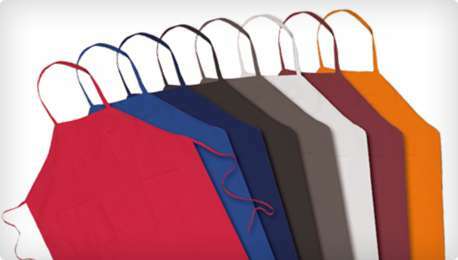 We provide all sizes and colors of aprons and a variety of towels to meet your needs. Interested in upping your apron game? Talk to us! Contact Mickey’s Linen today at 800-545-7511 to get started!